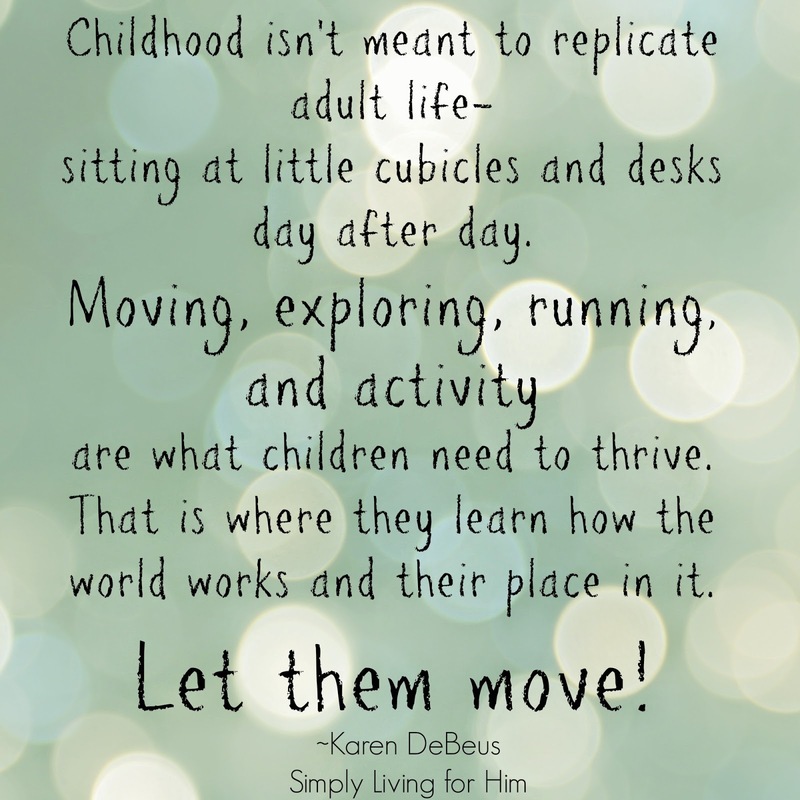 One of the reasons I have fallen in love with homeschooling is that is allows my children to be children. As Spring begins to blossom around us, and the days gets longer and warmer, they are able to get outside and explore. They can MOVE. I have children that are very different- one would love to sit and look at books for hours on end, or tinker with his experiments and inventions. I have another who literally can.not.sit.still. I can’t imagine if during these early years, when he wants to be running around and exploring, I was confining him between four walls ALL day. Children are not little adults. They learn differently. They have different needs. They are growing and developing and their play is how they learn. Pretend play outdoors- we’ve played Revolutionary War, Pioneers, Lewis and Clark…you name it! The best part is…God has made all we need to learn outdoors- math, science, art, language…it is all present. When they are outside in the fresh air, they are able to think more clearly. They are excited to learn. It is natural and not forced. Let them learn at their own pace. Don’t think they learn the same way adults learn. Let them MOVE!